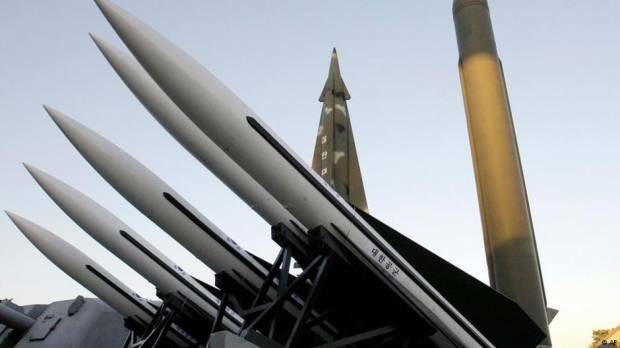 North Korea has said it is considering suspending denuclearization talks with the US amid an “atmosphere of hostility and mistrust” created by high-ranking US officials, Russian news agency TASS and The Associated Press reported on Friday. “We have no intention to yield to the US demands in any form, nor are we willing to engage in negotiations of this kind,” TASS cited Vice Foreign Minister Choe Son Hui as saying. The reports come after a summit last month in the Vietnamese capital, Hanoi, between US President Donald Trump and North Korean leader Kim Jong Un ended without agreement over how best to remove nuclear weapons from the Korean peninsula. Choe’s remarks, in which she described the US stand as “gangster-like,” seem to point to a change in North Korea’s strategy following the talks, with both Pyongyang and Washington initially voicing a readiness to continue on with negotiations. The main obstacle to agreement between the two sides was reportedly the question of sanctions: Washington says it wants all weapons of mass destruction eliminated by North Korea before economic sanctions are dropped, while Pyongyang envisages lifting the main sanctions in return for an only partial dismantling of its nuclear infrastructure. The failure of the talks came despite what Choe described as a “mysteriously wonderful” chemistry” between Trump and Kim.